Looks great!!! I want to make some for my husband & me….good and hot. Interesting! I love contrast in flavors like that. What kind of green pepper did you use? I have a huge amount of mustard seed lying around after a Penzy’s shopping frenzy, so I’m assuming I can just grind some of the seeds down to powder and then crack the rest. I’m also partial to pickled mustard seeds via Tom Colicchio: take five to six oz of mustard seed, one cup of white wine vinegar, one cup sugar, and one tablespoon of dry mustard, and simmer for about five minutes. The seeds swell up or bloom, and develop a consistency like caviar. Yes, you can even grind all of the seeds down to a powder if you want a smoother mustard. I can relate to the Penzey’s shopping frenzy; spices take up rather a lot of my cabinet space. And the pickled mustard seeds are on my “to try soon” list- i bet they would be awesome with pork and cabbage-thanks! why does the water temperature affect the heat rating of the mustard? If you’ve ever used mustard seeds in cooking, you know they don’t have that characteristic burn that a spicy mustard has. Mustard seeds have to be cracked and combined with cold water for the chemical reaction to take place that makes mustard hot. Heat damages that chemical reaction between myrosin and sinigrin. So the colder the water, the more intense the reaction. Adding an acid like vinegar arrests the chemical reaction and stabilizes the flavor of the mustard. 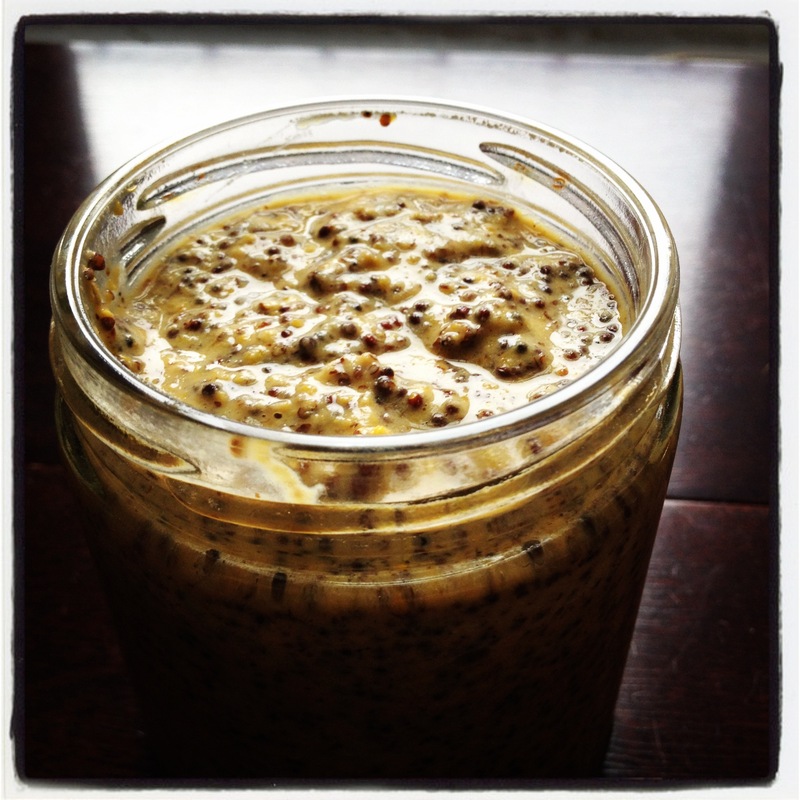 So good, and so cheap compared to good grocery-store mustard… you’re reminding me I’m overdue to make some! It really is gratifying to make! I thought I had sen a recipe on your blog but couldn’t find it when I looked. Did I imagine that? I’ve been making it using my various homemade vinegars: blackcurrant, spruce, maple, etc. It’s such an amazing treat, and can be tailored to match with almost anything. Do you have a post about how you make your vinegars? And it really is a treat, makes such a big difference even in just a simple sandwich.